On November 15th, Gentle Mars signed a MoU with Bluebelt, an international cryptocurrency exchange platform, to actively cooperate mutually. Bluebelt is a multinational exchange operating in more than ten countries, including Japan, Hong Kong, the Philippines, Malaysia, Indonesia, Cambodia, Myanmar, and India. It acquired licensed in Estonia and the Philippines and registered as a crypto exchange in Australia. Also, in the process to acquire a license in Japan. Gentle Mars is a company that developed Gentrion, which is a blockchain based game contents trading platform. This platform is based on blockchain to build a secure and efficient business network ecosystem by allowing users to freely exchange items within the game. Both companies decided to actively cooperate to strengthen each other’s technologies and competition in the blockchain business. Through MOU, Bluebelt and Gentle Mars decided to strengthen their global network, collaborate and partner related to listing, research on blockchain and mobile game, exchange of human resources, and exchange of knowledge and information. “We are going to form an alliance as we believe that it is an excellent company with technical skills in blockchain-based game contents platform. 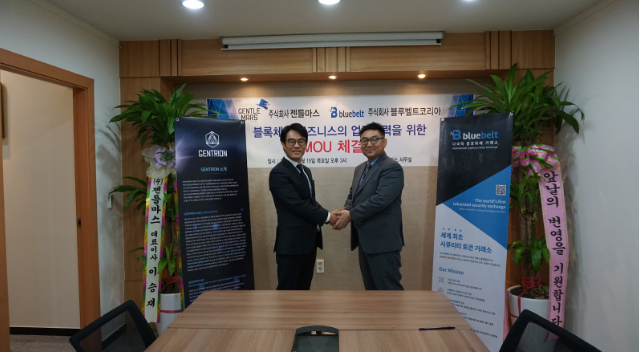 Through this partnership, we will work to introduce and promote excellent blockchain technologies through closer consultation between the two companies,” said Kyu-Chul Bang, CEO at Bluebelt. “We will do well in the global market by strengthening our network through cooperation with Bluebelt,” said Shin Hyun-il, CEO of Gentle Mars. Meanwhile, BLUEBELT KOREA is currently in the process of pre-registration event. Details can be found on BLUEBELT KOREA website. 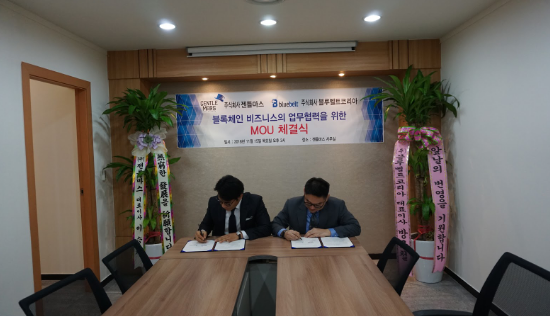 Check more details of Gentle Mars’ MoU with Bluebelt here in Business Korea news site.